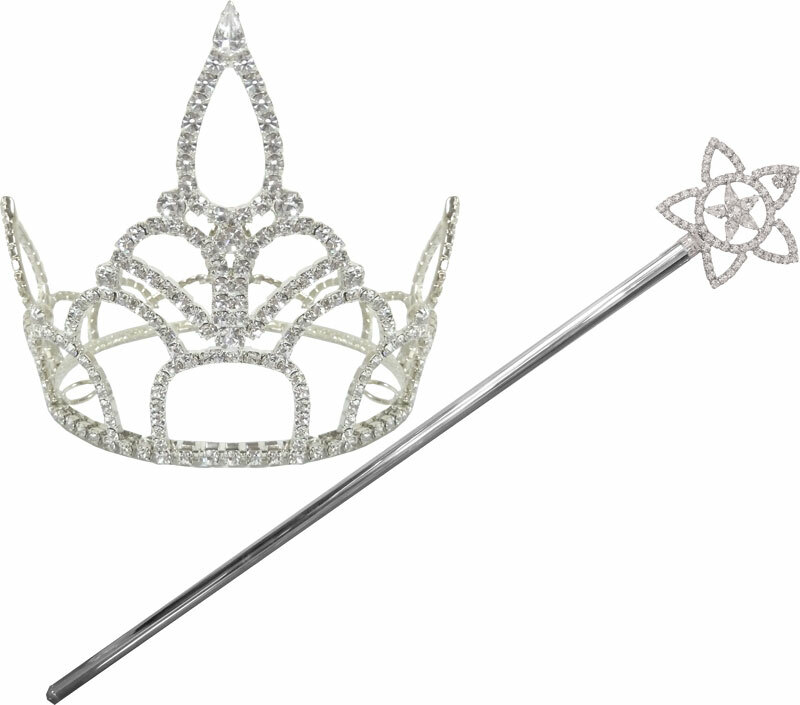 Rhodium plated metal crown and scepter with crystal rhinestones. Crown is approx. 4" high , scepter is 17-1/2" long. 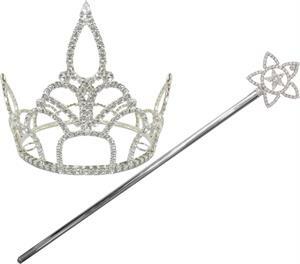 NOTE: this crown is intended for display use only - diameter is not adjustable.